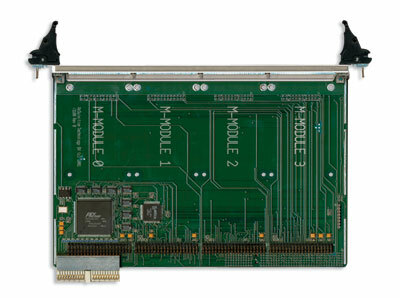 The AMi3100 M-Module Carrier for Compact PCI (cPCI) bus features a compact high-performance PCI bus gateway to the four (4) M-Module interfaces. The cPCI interface is PCI Specification 2.1 compliant. Slave only.